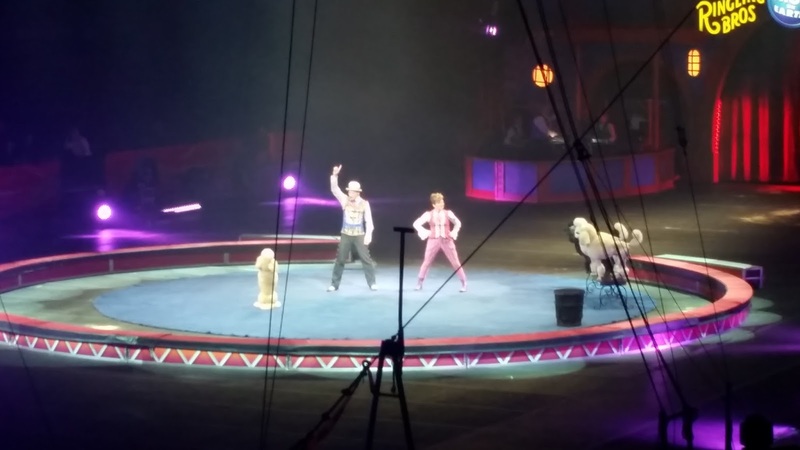 Sweetly B Squared: Ringling Bros and Barnum & Bailey Circus EXTREME!! 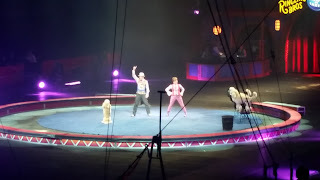 Ringling Bros and Barnum & Bailey Circus EXTREME!! 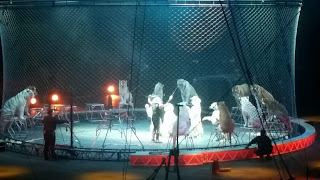 As expected, the kids and I had a GREAT time at the Ringling Bros and Barnum & Bailey circus again :) It's one of our favorite shows, and hubby wasn't too happy to have ended up so sick and worn-out by the end of the day that he had to skip this time. We went early enough this time to go on the main floor for some of the pre-show action. Both kids were near the end of the line to walk the tightrope, and they loved it! Luckily that rope looks a lot bigger close-up. Maggie kept trying to jump on the rope, but her helper kept her on the rope without any stunts. I think Jack was just happy not to slip off (even though it would have been onto a mat). When the real show started, Maggie was so excited that the dogs were still a part of it. She says her spirit animal is a dog. These poodles (I think?) were adorable! There were three different sizes, running circles around each other, catapulting and jumping, and doing all sorts of crazy dances. Jack couldn't decide what his favorite act was, but I always love the big cats. The tigers, and especially the white ones, look so majestic to me. There's no question they could eliminate anyone who didn't treat them with love and respect. I love watching their graceful power! We haven't been to the circus in a while. Which is surprising since we enjoy it so. 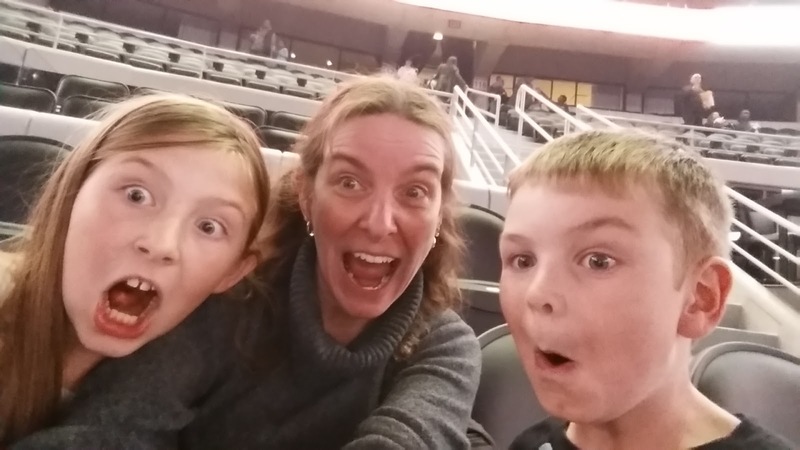 Looks like you guys had a great time!